If you didn't know already, fairies are not actually born with all of that fantastic glitter on their bodies. There is an ancient Fairy law written in the oldest tree of the ancient forest that states, "for every magic spell a fairy successfully casts, they will receive a new spot of glitter." We think that's a pretty good incentive for those magical little winged creatures. We honestly would be covered in glitter by day two of magic training though because we love casting spells! Or at least we would if we had the ability to cast them! For us non-magical folk around here, we have to settle for some graciously donated extra fairy makeup glitter from the great pixie sorcerers of the realm. They cast so much magic that the glitter simply falls right off and is replaced by more. It works out for us though because the sparkle we get from that stuff is absolutely top notch. Purchase thinking it would be a silver base with glitter highlights. It's just a clear gel with glitter in it. 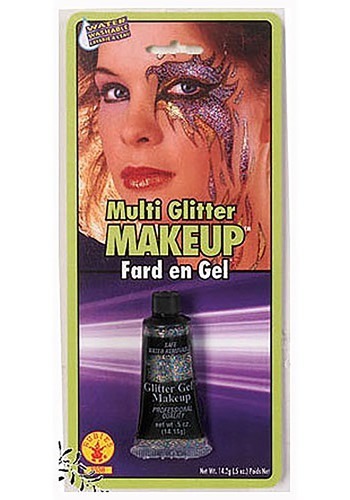 I suppose it does add glitter but not what I pictured. If you want the look from the package, you have to add to an already silver/white base to get the effect.